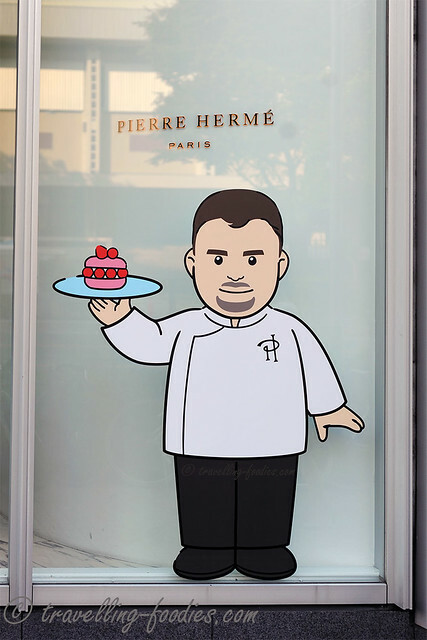 When it comes to French pastry, Pierre Herme is almost like a household name. I’d mentioned him countless times on this blog and I’m sure some of you guys would already know that I am quite a fan of his works, especially the art of macaron making, which he revolutionised with innovative combinations of flavours and the use of exotic ingredients some totally unheard of, sometimes to the point of the unimaginable under his “Signature“, “Fetish” and in more recent years, his “Jardin” series. But during our most recent trip to Tokyo, we’d decided to go back to the traditions and “re-discover” the French classics. Read on to see how Pierre Herme fares!